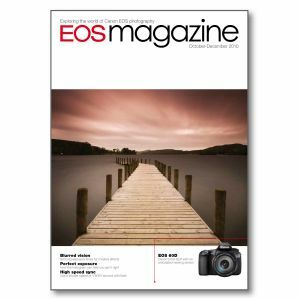 Add this issue to your photographic library for information on the EOS 60D, EF 8-15mm f4L USM, EF 70-300mm f4-5.6L IS USM, EF 300mm f2.8L IS II USM and EF 400mm f2.8L IS II USM. Plus techniques on prime lenses, looking at the histogram, high-speed sync flash and sharpening. New equipment EOS 60D; EF 8-15mm f/4L USM; EF 70-300mm f/4-5.6L IS USM; EF 300mm f/2.8L IS II USM; EF 400mm f/2.8L IS II USM; Extender EF 2x III and Extender EF 1.4x III. Point-of-view Andrew Gibson writes about a French photographer who was manipulating photos long before Adobe created Photoshop and puts forward his view on the digital debate. Prime time What’s the point of a fixed focal length lens? Haven’t they been replaced by ever-improving zoom lenses? Andrew Gibson explores the creative world of prime lenses. Perfect exposure Are your photographs correctly exposed? What does this mean and how can you check? Andrew Gibson shows you how to use your camera’s histogram display to get close to perfection. How was it shot? John Norris describes the techniques used to produce his distinctive flower photographs. Very little Photoshop work has been done – and no flowers were harmed during the shooting! Move closer Increasing the distance between the lens and the sensor or film reduces the focusing distance. That’s how macro lenses do it. But you can get similar results by fitting an extension tube. High speed Did you know that you can take flash photos at 1/8000 second with a Speedlite? Syl Arena explains how he uses High-Speed Sync to create dramatic portraits and action stopping images. Battery power The LP-E6 battery is now used by three EOS cameras. We take a fresh look at Canon’s most advanced battery to see how its features benefit the photographer. Blurred vision All too often, the emphasis in photography is about producing sharp pictures. While an admirable quest, this overlooks the interesting images you can create with long shutter speeds. Sharp practice Sharpening is an essential part of the digital photography workflow. Do you know how and when to sharpen your photos? We offer a guide to in-camera and post-processing techniques. Safe haven Taking photos on trips away from home is fun and exciting. But how do you make sure your precious photos survive the journey? We explore some of the options for backing up your images.